With a bedroom that oftentimes looks like a cross between Aladdin’s cave and a Turkish bazaar, I am always looking for ways to maximise the space I have. I have saved pictures off Pinterest, visited blogs written by bored mothers and even watched You Tube videos posted by obsessively clean, over-eager men who reassure me that a cleaner room will change my life. In fact, I had bought and read Marie Kondo’s book long before they turned her spark joy mantra into a Netflix series. For those of you who don’t spend as much time on the internet as I, Marie Kondo is a diminutive Japanese lady who exudes a wonderful sense of calm while helping people to tidy up their homes. 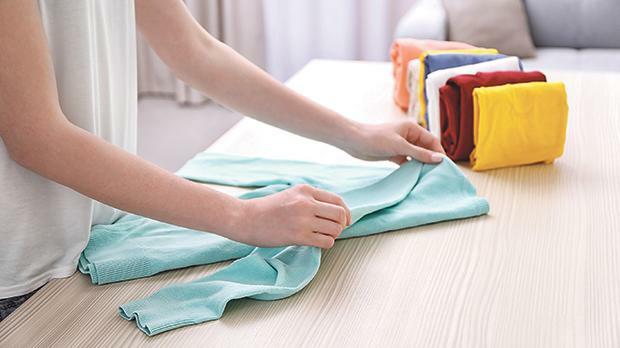 Apart from her killer method of folding things in order to take up as little room as possible, she also approaches items by getting their owner to think about whether each item or not sparks joy within them, that is, whether they get a good feeling or not when they touch it or whether they are indifferent towards it. Well, having been threatened with a guest appearance on Hoarders by a couple of my nearest and dearest, I attempted her method to not overly positive results. Firstly, I couldn’t get past her outlook on books: in my house, books are as sacred and holy as the cow is to Hindus and as a result, we have thousands of them. My father would probably prefer to sleep on the floor and have space for his beloved collection than part ways with any of it. However, good old Kondo says that 30 books are more than enough. I’m not sure how she came up with this number or why but apparently, that’s what I should be aiming for. Another area where we didn’t see eye to eye was the clothes section: the instruction was to only keep things which sparked joy but to be honest, everything I touched gave me a spark in one way or another and why wouldn’t it? I bought the things myself, didn’t I? It was almost bizarre: the more I tried to get rid of things, the more I cemented the reasons why I had kept them in the first place. Unfortunately, the Kondo method didn’t really do much except frustrate me. It could be that I’m just too sentimental. However, the truth is I’d much rather hold onto an old photo and the memories that I have attached to it than get rid of it and possibly regret it forever. It would be nice to feel lighter but then I wouldn’t be me.